In Encinatas, California, two men were reported to have fallen off the side of a cliff while trying to play the new mobile application, Pokemon Go. The new game allows users to wander around real-world streets to hunt down virtual characters that appear at certain locations. 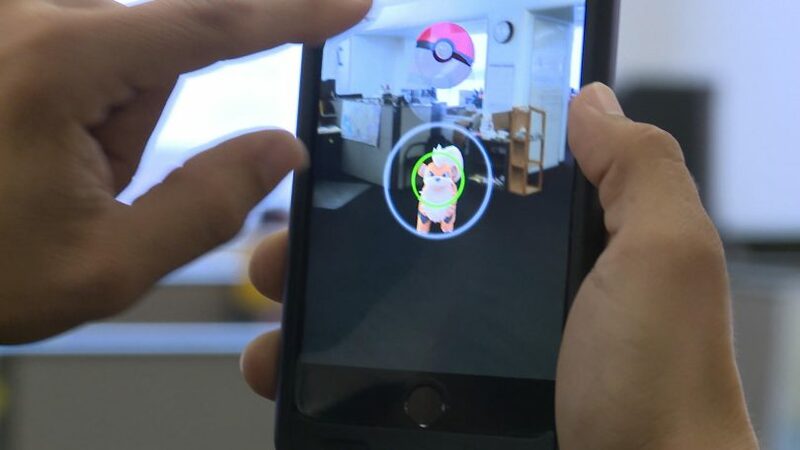 When confronted with a Pokémon, users can look through the camera on their phone to see the creature and attempt to catch it. While both men were taken to Scripss La Jolla Hospital to be treated for their unspecified injuries, it was said that one of the men fell around 80-90 feet onto the beach while the other only fell about 50. According to Encinitas fire Battalion Chief Robbie Ford, the men had been playing the new game when they fell over the edge near Fourt and F streets shortly after 1pm yesterday. A sign posted on the fence warns the public that the cliffs are unstable but the men had reportedly climbed over to find a Pokémon. Firefighters had to use ropes and harnesses to pull the man on the cliff back up while the man on the beach was treated by lifeguards.